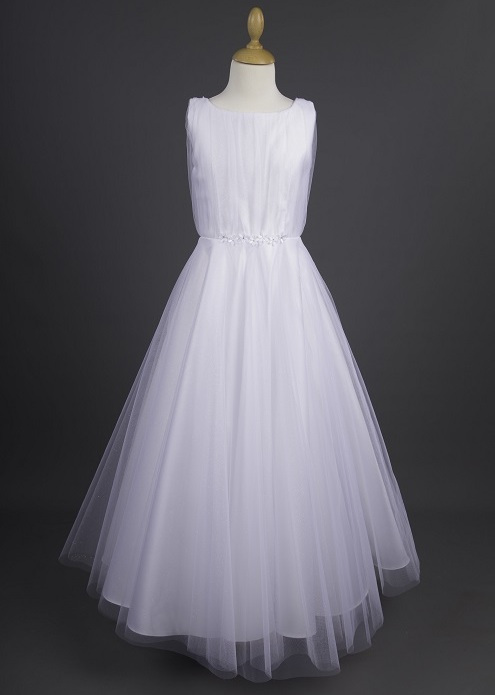 Girls white glitter tulle crystal communion dress named Cassidy by Millie Grace, perfect for your girls holy communion day. Cassidy Dress: A stunning pleated bodice and A-line skirt with an overlay of glitter Stardust tulle. The waistline is delicately decorated with daisies and Swarovski crystals.